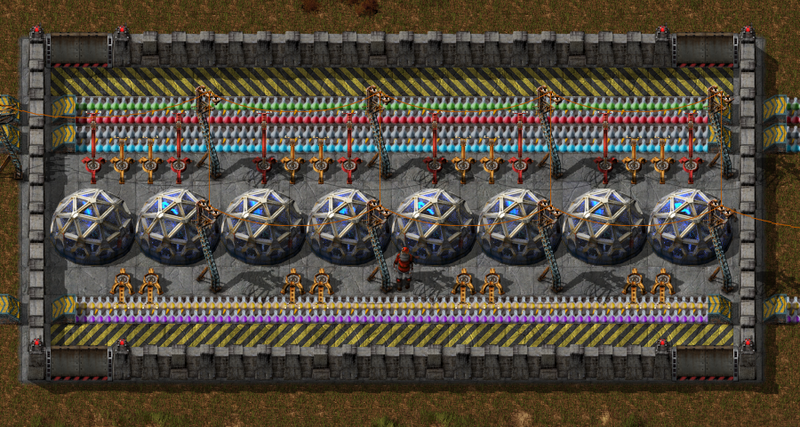 As the 0.15 work started, the first thing I wanted to do was to rebalance the science packs. We feel that the science pack 1 and 2 balance is just right, but the level 3 (blue) is quite a large jump in complexity, while the alien science pack is trivial. Then I checked that the last time we changed something about the science packs was 2.5 years ago, so it might be the time to try to be more creative. 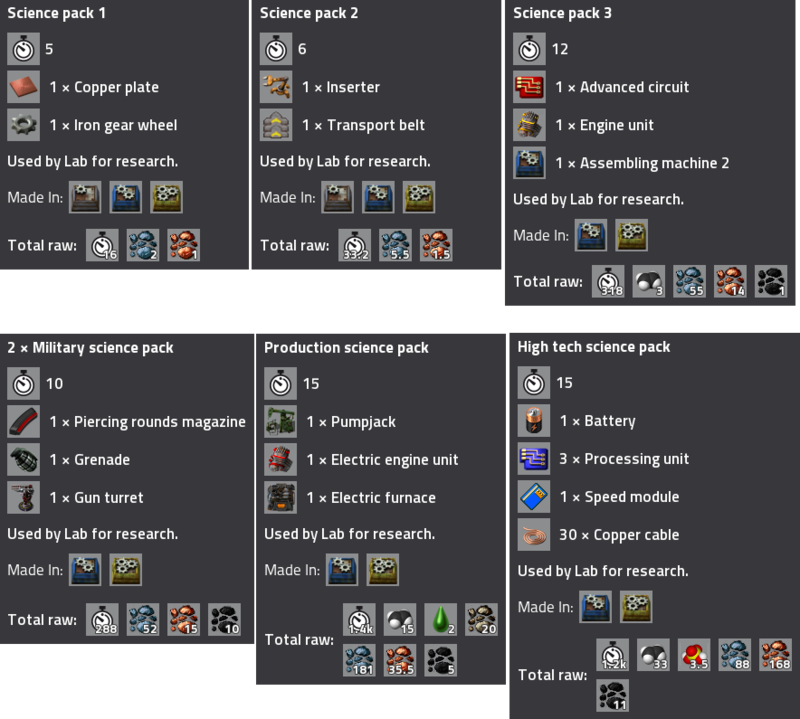 The icons might change, but a late game science setup might look something like this. On top of that, I would like to implement the infinite research. It would give smaller and smaller gains, but people could spend the resources on something after finishing the regular research if they wanted to. This paragraph is brought to you by Klonan.  The concept of a player versus player experience in factorio has been around since we introduced multiplayer in version 0.11. 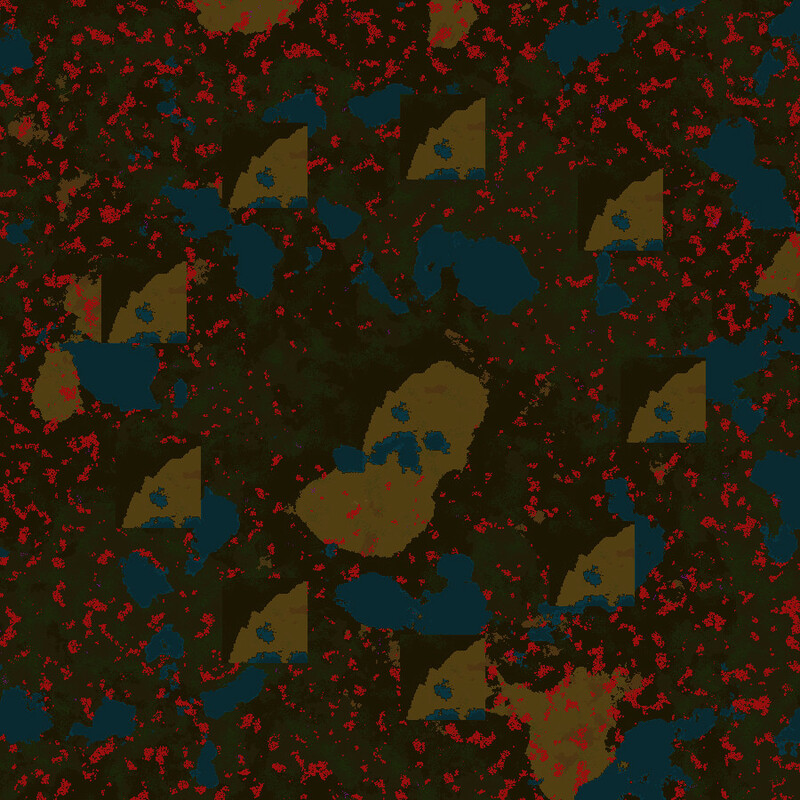 Initially there was a small mod which places players alternately on the player and enemy force, the players would then fight it out, with the addition of some craftable biter capsules. 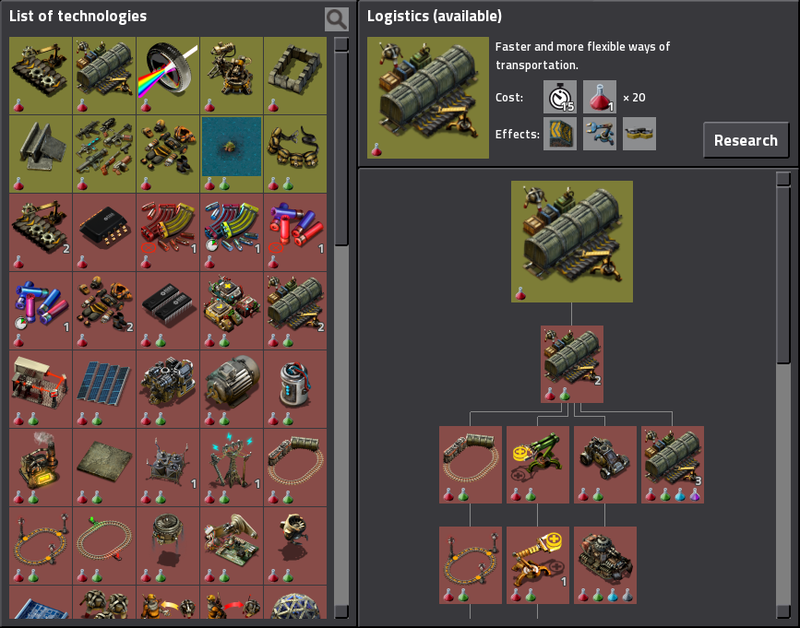 With 0.12 we expanded the forces system, to allow creating and assigning forces to players, allowing the possibility of up to 254 different teams in a single game. However PvP attempts quickly fell at the first hurdle: multiple players were needed. With the issues of the peer-to-peer multiplayer, the actual experience was not ideal. With the recent success of the team production challenge and the MMO server tests, we decided the conditions were right to create an official PvP mode. The first player to create the scenario will be the gamemaster. He will set some configuration options, such as how many teams, the starting tech level etc. The original starting area will be copied to the new teams spawn positions, each identical to the other. Each starting area will contain a rocket silo. If your rocket silo is destroyed, your team has lost. If you launch a rocket, your team wins. If all other teams silos have been destroyed, you win. When you destroy another team's silo, all their base are belong to you. For other specifics we don't have a good idea, such as what to do with the players of defeated teams. The two main ideas were to allow them to spectate players, or allow them to join another team (which didn't defeat them). I had some discussion with Cube about possible solutions, but these would be some large changes to the internal map generator code, so will have to wait for 0.15. Custom maps could be nice and simple solution, especially if someone from the community would come up with proposals. In the end these small issues aside, we think it will be quite an enjoyable gameplay mode, and something for the more competitive players to sink their teeth into. 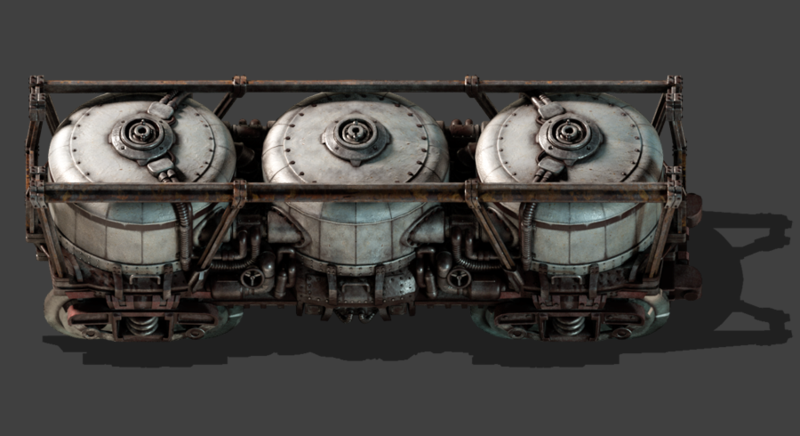 As always, if you have any comments or otherwise, please let us know on our forums.